For the love of Shamoo! 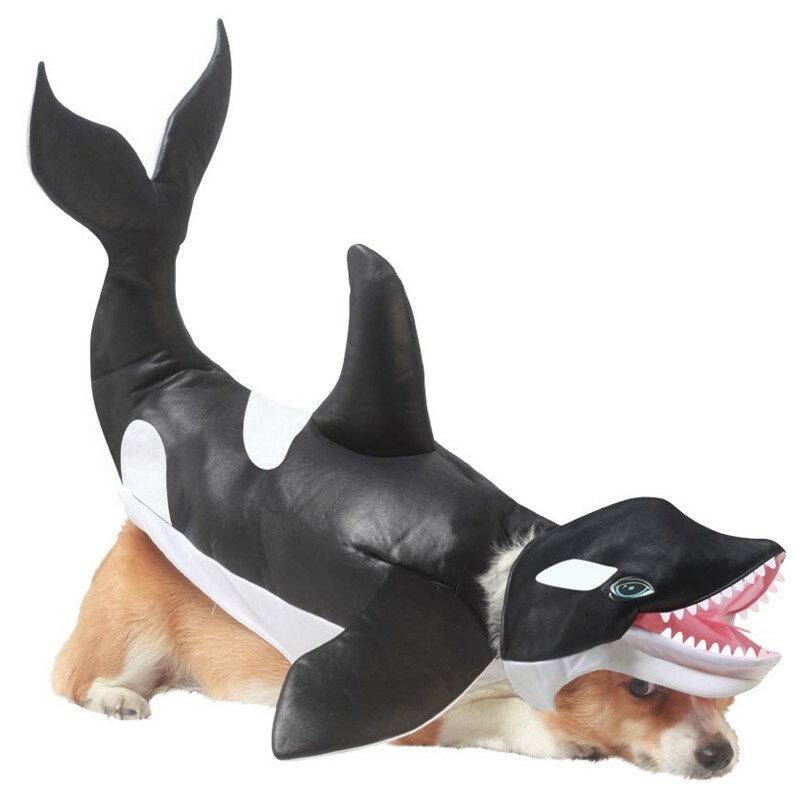 Our killer whale costume by Animal Planet includes a character headpiece with tooth detail and printed eyes. A character body piece with fin and tail details is also included with this enchanting ensemble. This is an officially licensed Animal Planet Pet Costume. Sizing measurements provided are a range for the dog who will be wearing the costume, NOT measurements of the costume itself. Fits up to 20" 24-28" 16-20"
Pre-Order!!! EST is Late August!